Chicago Bears No. 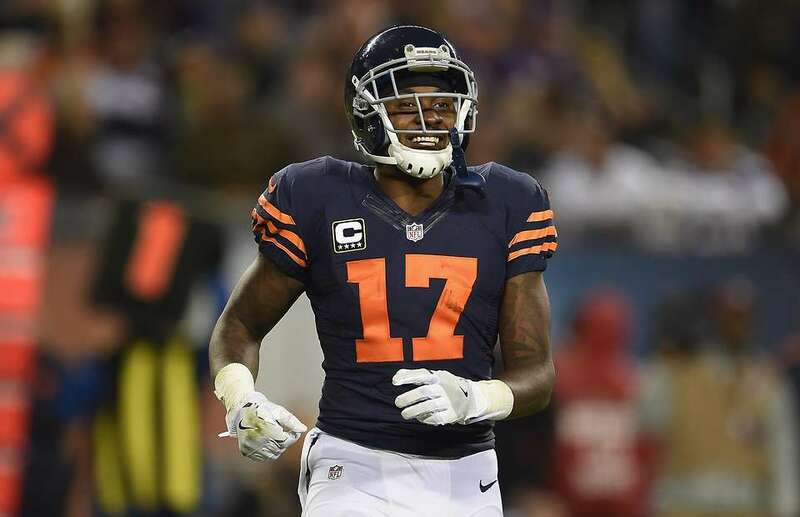 1 receiver Alshon Jeffery is back after serving a four-game suspension for PED use and he is expected to get a heavy workload with three games remaining in the season. This means that Matt Barkley will no longer be targeting Joshua Bellamy when the game comes down to a critical play to be made. Instead, Barkley will be looking to find the 6’ 3’’ Jeffery, who always catches the ball with his hands. Sorry, Bellamy you really dropped the ball this time. Over Barkley’s three starts Bears’ receivers have had plenty of opportunities to make some big plays, but the young receiving core has failed Barkley time and time again. Now, a true receiver, who isn’t a special teams player like Bellamy or Deonte Thompson or a converted quarterback to receiver, Cameron Meredith, not knocking Meredith just proving a point, gets added to the receiving core. Even though Jeffery missed four games he still leads the Bears in receiving yards with 630. Meredith is in second with 588 receiving yards. Yes, this hasn’t been a great season for Jeffery – who only has one touchdown thus far, but he is still by far the Bears’ best receiver. Can you imagine if you switched Bellamy with Jeffery on that slant route against the Titans? The Bears would have had a two-game winning streak going into Detroit. Or what about the over the middle pass on fourth down against the Lions? Connor Barth would have been in great field goal range to send the game into overtime and who knows what would have happened. Point is, thank goodness Jeffery is back and now we won’t have to imagine what would have happened if Jeffery was there. Having Jeffery back in the lineup is going to open up opportunities for the other playmakers. Teams won’t stack the box as often, as they will have to respect Jeffery’s deep threat capabilities and that will result in Jordan Howard becoming more effective. Also, Meredith will see more targets as coverages will slide more towards Jeffery’s way. Barkley has already proven that he will spread the ball around, despite if receivers have dropped the ball, so guys need to be ready. After watching Barkley for three straight weeks, he tends to put some air under his passes. Jeffery is exceptional at high pointing the ball and dominating smaller defenders. Hopefully, those two can get some chemistry going so someone can be added to Jeffery’s highlight film. Maybe that someone can be a player in the Packers’ secondary. Bears’ fans sure would love to see Jeffery prove himself this week against a defense that held him to three catches for 33 yards in their first meeting. Granted, Barkley did come in for an injured Brain Hoyer that game and clearly wasn’t ready, but this is a perfect opportunity for Jeffery to redeem himself. With Jeffery playing under the franchise tag you can bet he is going to want the ball every play, as he should. These final three games will determine if he will continue wearing navy and orange next season.